Are you planning your big day? 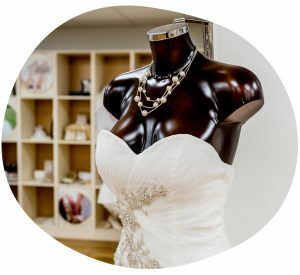 Why not visit our Mere Green Bridal Boutique? Discover a treasure trove of beautiful and unique gowns at our Bridal Boutique, situated inside our Mere Green shop our boutique has everything you need to make your big day perfect. 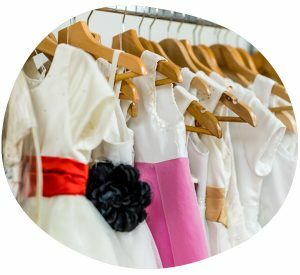 We’ve a stunning range of new and ex sample gowns as well as selection of pre-loved and vintage dresses. 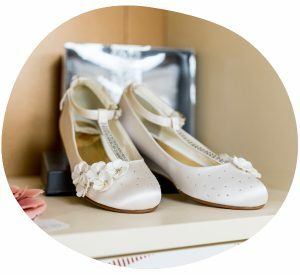 You’ll find everything you need for the day including bridesmaid dresses, mother of the bride outfits, shoes, jewellery and accessories. We also offer a fantastic range of prom outfits and evening wear, all stock is high quality and great value with proceeds going directly to St Giles Hospice. We’re open Monday-Saturday 9am-5pm and Sunday 11.30am-3.30pm or alternatively you can book your free private appointment by calling 07753 728856 or by emailing bridal@stgileshospiceshops.org.uk.